If you want to improve community, you need to improve walkability. Making walking and biking more accessible to residents and visitors, enhances communities by improving safety, increasing interaction between residents, reducing air pollution, and enhancing economic prosperity. We are proposing aesthetically pleasing paths that can support walking and children under 12 on bikes. We are not interested in curbed sidewalks all over town. The paths we add will be guided by the desires of the community. Through community engagement, design development, and some common sense, we have identified and have chosen to take action on two specific areas of concern. Both of these locations along Kuhio Highway are frequented by pedestrians and offer little to no shoulder along the street edge. 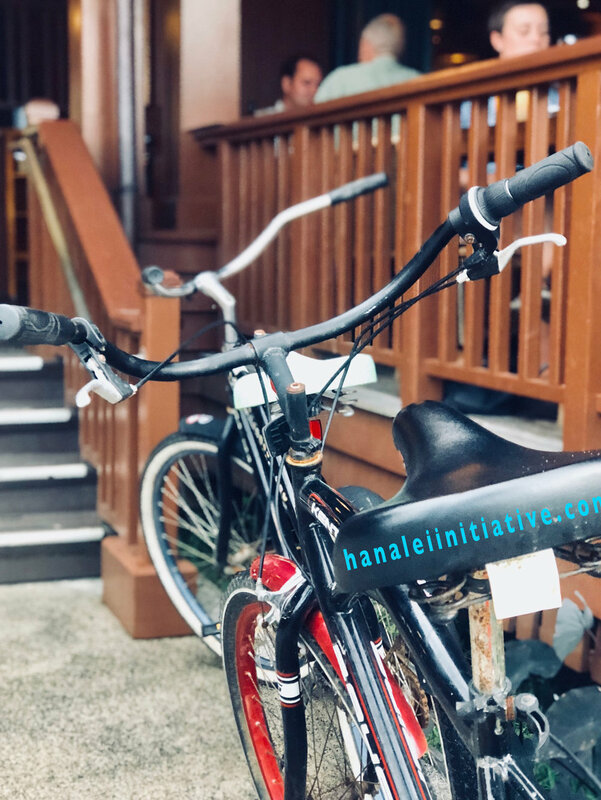 With support from the landowners, and community engagement, we are excited to implement these short-term scalable solutions that will ultimately fit into the bigger sustainable transportation plan of Hanalei! From the Hanalei Dolphin building to the Wishing well shave ice is a highly used, extremely dangerous stretch of roadway. Children heading to and from Hanalei School risk their lives trying to navigate road traffic. We must provide them a safe path. Once again, this is early in the design process. We invite all interested parties to please take the initiative and be a part of the solutions.